We're sending our weekly e-letter two days early because it's Christmas! Wherever you are and however you are celebrating this Christmas Eve and Christmas Day, we hope you are filled with incredible joy in knowing the inseparable love, forgiveness, and presence of God. In Christ, God's love reaches every corner of this broken, divided world and draws us into trust, unity, and love. 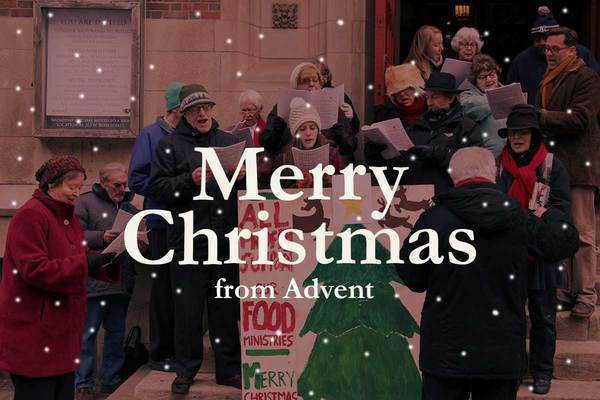 If you're in the city this Christmas, check out our worship times tonight and tomorrow morning, and join us in celebrating the birth of Christ. The festivity of the season is not quite over yet! Don't miss this special Epiphany season celebration in two weeks. Mark your calendars for our Three Kings Celebration at 12pm Sunday, January 8. This is an awesome opportunity for our English-worshiping members and Spanish-worshiping members to celebrate part of the Christmas story together, so come take part! The Three Kings Celebration is a tradition in many Latino cultures, and Three Kings Day is a festival Sunday for all Lutherans. Here at Advent, our Three Kings Celebration includes a big potluck lunch for all, a piñata filled with candy for the kids, a special cake, the singing of traditional songs, and a visit from the three kings (yes, we've got the costumes). It's going to be a lot of fun! Join us! 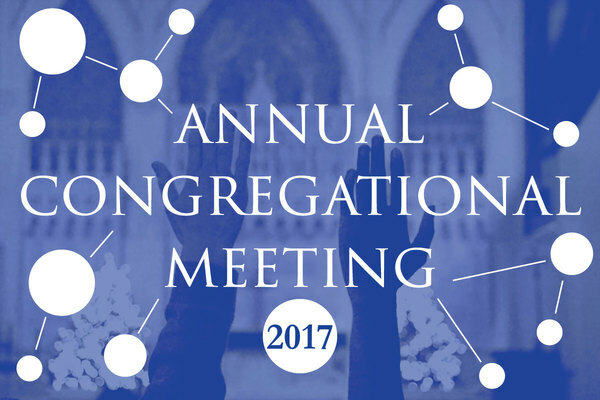 We need your questions, insight, and engagement in our 2017 Congregational Meeting. As we wrap up the Advent season, check out the complete Advent season photo album with new pictures from Travelers Christmas worship on Wednesday. 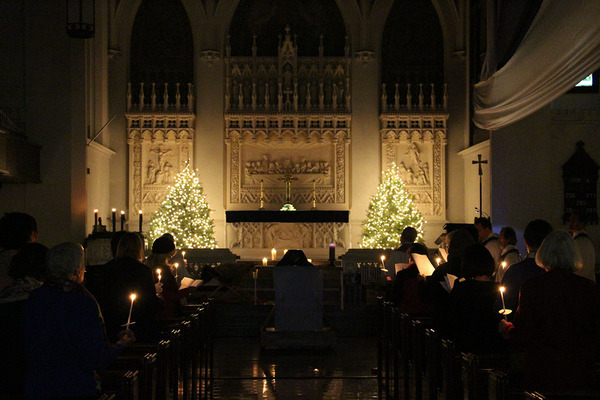 Our Wednesday Evening worship services will continue into the Christmas and Epiphany seasons this year. Join us at 6:30pm on December 28, January 4, and January 11 to hear three more reflections from Advent leaders on Martin Luther's Christmas Book, and sing music from Holden Evening Prayer at these candlelight evening services. Instead of collecting donations for poinsettias during the Advent season, we collect donations of canned and nonperishable food and money supporting life-sustaining food ministries. There's still one week left to contribute. 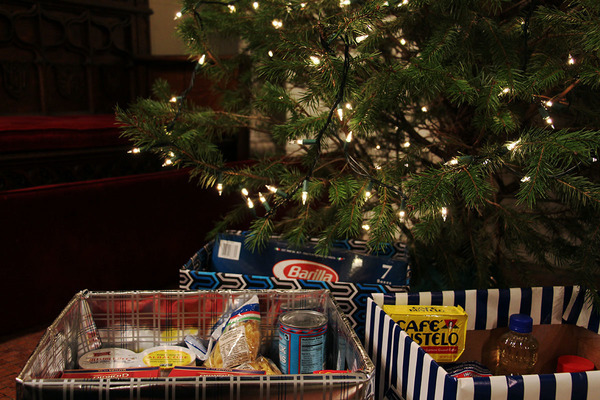 This is the last week to bring in canned or nonperishable foods for Food Instead of Poinsettias. You can bring them to our office between 10am-5pm Monday through Saturday this week, or to worship Sunday, January 1. We'll share the food donations with 100+ neighbors in our community at our Food Pantry on January 7. If you'd like to make a monetary donation, mark your check or envelope "Food Instead of Poinsettias" and place it in the offering plate at worship. All monetary donations will be divided between our own food programs and ELCA World Hunger, so we can make an impact here and abroad. We seek to offer a safe place for all people to gather, share, and strategize for how best to advocate for and build a non-violent community of support and justice. You’re invited to join us in sharing, praying, and strategizing advocacy action Wednesday evenings from 7:30-8:30pm on December 28, January 4 and January 11. This is right after Wednesday Evening Worship. You’re invited to join for both, just worship, or just this community gathering. Everyone is welcome. On January 11, a special guest from the Interfaith Center of New York will join us to share information about supportive actions we can take with the Muslim community in NYC. The gathered groups so far have discussed their answers to the following questions: What concerns you in light of the elections? What faith values or Bible passages help you address these concerns? What organizations do you feel will need additional support? What advocacy actions might you take as an individual or we take as a church? If you couldn't join us on those Wednesday evenings, we would still love to hear your answers. We invite you to respond here. Adult Conversation | Off this Sunday, and returns Sunday, January 8.